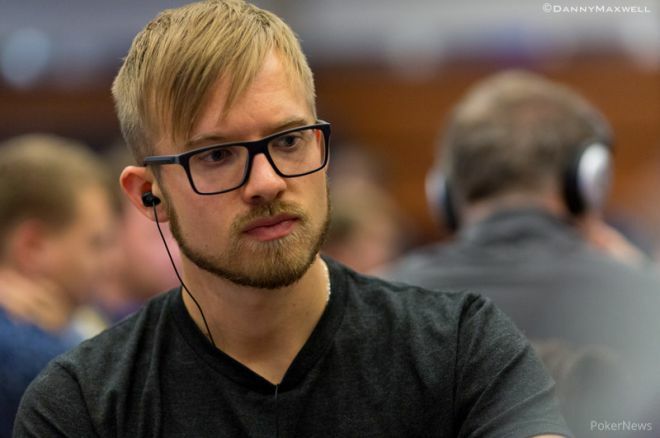 For the sixth year in a row, Poker.se has named a Swedish Poker Player of The Year, and it comes as no surprise that this year it was 2014 World Series of Poker Main Event champion Martin Jacobson. Jacobson won with 80 percent of reader votes on Poker.se and Pokerforum.nu. Jacobson, who topped a field of 6,683 players on his way to winning $10 million, finally won the award after being nominated four previous times. Jacobson joins a prestigious list of Swedish POY winners that include Robin Ylitalo (2013), Viktor "Isildur1" Blom (2009 and 2012), Chris Björin (2010), and Alexander Anter (2011). In addition to naming a POY, Poker.se handed out three first-time awards — Online Player of the Year, Poker Ambassador and Breakthrough of the Year. Jacobson managed to capture a second award, that of "Ambassador of the Year," with half the vote, which was nearly twice as much as runner-up Simon "Dybban" Lindell. "It is of course a great honor to be voted not only the Swedish Player of the Year but also first choice as Sweden's Poker Ambassador," Jacobson told PokerNews. "My goal is to live up to the expectations by representing poker in the best way possible and hopefully encourage more people to become aware of this incredible game." In addition to winning the WSOP Main Event, Jacobson padded his 2014 résumé with two six-figure scores at last year's Aussie Millions Poker Championship. First, he finished fourth in the $25,000 Challenge for $250,134, and then five days later placed eighth in the $100,000 Challenge for $313,468. As for the other two awards, Mikael "punting-peddler" Thuritz, who was runner-up in the POY category, did capture the Online Player of The Year title with 63 percent of all votes. Thuritz is one of online poker's most accomplished mixed-game players, and according to HighStakesDB he won $2,572,989 — almost all of which came playing 8-game — playing online in 2014. Meanwhile, Robin Colbin came out on top in a tight Breakthrough of the Year race. Colbin, who plays online under the moniker "BigMeech99," received 41 percent of the votes, which put him ahead of runner-up Simon Mattson, who had 29 percent of the vote. Colbin captured three online Triple Crowns (three wins on three different sites in the same week) in Jan. 2014. He added even more Triple Crowns throughout the year, and finished as the top Triple Crown winner of the year.